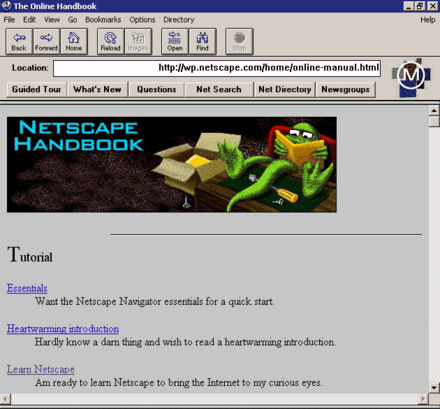 Netscape Navigator – Version 2.0 Beta for Win 3.1, 16 Bit Version. WILL BE REMINDED OF THIS STARTING DECEMBER 1. New features and known problems in this release are listed at this location. Both the 16-bit and 32-bit versions include an installation program. Please delete or rename your old cache directory and Netscape.hst file. will be left on the server so you won't lose mail. - Check the WIN32S.INI file in your Windows system directory. may see an English language OLE2 error message after installing Netscape. file that is part of a winsock package (also includes dialer, TCP/IP stack). on obtaining a winsock package. See the Release Notes for a complete listing of the known bugs.